Television reporter, Angela Vidal (Manuela Velasco), and her cameraman Pablo (Pablo Rosso) are hoping for some exciting footage while following a squad of firemen on night duty. Their first call is to rescue an old lady who has become trapped inside her apartment. However, what starts as a routine job takes a deeply sinister turn. Something evil is spreading throughout the building and there is no way out. 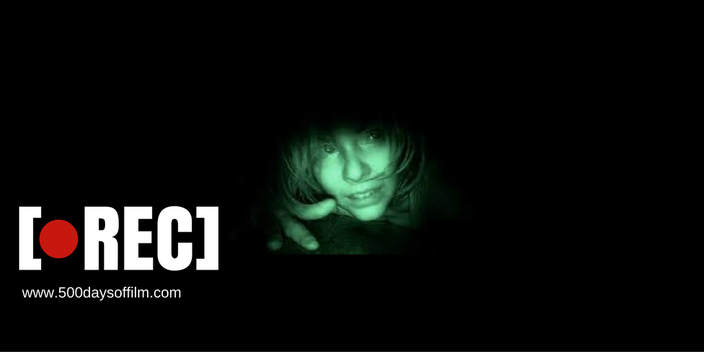 Directed by Jaume Balagueró and Paco Plaza, Rec was released in cinemas in 2007 -at the height of the horror genre’s found footage phase. Having somehow missed this film following its release, I decided to purchase Rec on DVD. I had heard good things about this movie and the DVD cover only amplified my excitement. Alongside a number of effusive, five star reviews, the DVD cover proclaims that viewers will “Experience Fear”. Rec has a genuinely interesting concept and an innovative set-up. Importantly, the film more than justifies its use of the found footage technique. Meanwhile, Manuela Velasco’s performance is undeniably effective - she is superb at portraying Angela’s growing terror. Regrettably, however, I did not experience fear while watching Rec. It did not scare or even particularly unsettle me. Perhaps my love of horror movies has made me immune. Have I become desensitised? Perhaps Rec would have unnerved me more had I watched on the big screen. Sadly, while I appreciated the idea its execution, the only thing I felt by the end of Rec was mildly nauseous. Since its release, Rec, has spawned a series of horror films including Rec 2 (2009), Rec 3: Genesis (2012) and Rec 4: Apocalypse (2014). If so, what did you think of this horror movie? Let me know by leaving me a comment in the box below.